Westerville student Emily DiAlbert for earned an 2018 ACA International Scholarship Awards. CLEMSON, SC (08/23/2018)— Area residents graduated from Clemson University Aug. 10, 2018. They were among more than 1,000 graduates at the summer 2018 graduation ceremony at Littlejohn Coliseum. The foundation awarded $55,000 in scholarships to 36 talented students, all of whom are connected to the accounts receivable management industry. MINNEAPOLIS, Aug. 27, 2018 ―The ACA International Education Foundation awarded 36 high school and college students with a total of $55,000 in Loomer-Mortenson Scholarships for the upcoming school year. The winners were selected based on their cumulative grade-point average and a two- to three-page essay focused on the value of consumer credit. The scholarship honors the memory of ACA member Robert E. Loomer and ACA staff member Irvin “Dempsey” Mortenson. All scholarship applicants must be employees of a company affiliated with the accounts receivable management industry or the child of an employee. This year’s $10,000 scholarship winner is Klaudia Greer, a freshman studying biology at Florida State University in Tallahassee. Her parent is employed by SHERLOQ Solutions in Tampa. The $5,000-second place scholarship was claimed by Darby Cain, who will attend University of Nebraska, Lincoln. Cain’s parent is employed by Professional Choice Recovery Inc. in Nebraska. COLUMBUS, Ohio — The Ohio State University is proposing to eliminate 278 course fees; provide steep discounts on digital textbooks; waive costs when students take additional credit hours to complete their degrees, accept internships or conduct research; and extend in-state tuition to more military families. These four affordability proposals would benefit thousands of students, saving them an estimated $1.9 million a year. The plan will be presented to Ohio State’s Board of Trustees this week. “We are working hard to create savings for students, make costs more predictable and create increased opportunities for families across our state and nation,” President Michael V. Drake said. The proposals reflect Ohio State’s focus on access, affordability and excellence in the Time and Change strategic plan. In recent years, the university established the Ohio State Tuition Guarantee and added more than $100 million in financial aid for low- and moderate-income students. The Buckeye Opportunity Program, for example, ensures that thousands of Ohio students who qualify for Pell Grants receive an aid package that covers at least the full cost of tuition and mandatory fees. The program will impact 3,000 students on the Columbus campus this fall and an estimated 1,200 students on Ohio State’s regional campuses in the spring. Eliminate 278 course fees, which pay for educational costs such as laboratory sessions or specialized materials. The proposal would eliminate 70 percent of all course fees, benefiting thousands of students across a range of disciplines. Fees that remain cover third-party costs, such as first-aid training, or are in disciplines that rely heavily on laboratories as part of their educational requirements (biology, chemistry and physics). Pilot a new strategy to deliver digital textbooks that cost up to 80 percent less than traditional textbooks. In the “inclusive access” pilot, students in nine College of Social Work courses would pay $24 to $74 for digital textbooks that would cost $128 to $400 as traditional texts, for example. The university plans to expand the use of the inclusive access model in future years. Allow students who take heavy academic loads to waive the cost of additional credit hours if they are doing so to complete their degrees or to take advantage of internships or research opportunities. Students can take up to 18 credit hours at the university’s full-time tuition rate, but students may take up to a maximum of 21 credit hours per term. For eligible students who obtain the approval of their academic advisors, these waivers would provide savings of more than $400 per additional credit hour. Expand the university’s support of military families by applying in-state tuition regardless of a student’s residency. Ohio State already extends in-state rates to military families in most circumstances, but the intersection of federal rules, state law and university policy has created some exceptions that affect about two dozen students each semester. The new policy will clarify that active members of the military, veterans and their immediate family members (spouses and children) are to be granted in-state status. “We explore every opportunity that will help advance access to a more affordable Buckeye education,” said Executive Vice President and Provost Bruce A. McPheron. The four new initiatives would become effective in spring 2019 if approved by the board. 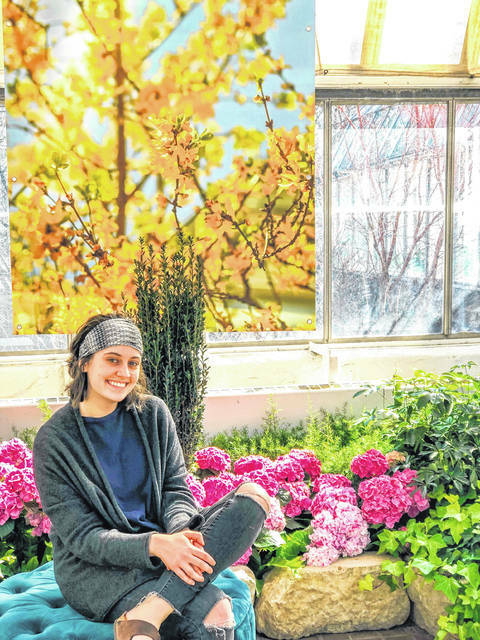 https://www.sunburynews.com/wp-content/uploads/sites/48/2018/09/web1_DiAlbert-Emily-cc-1.jpgWesterville student Emily DiAlbert for earned an 2018 ACA International Scholarship Awards.